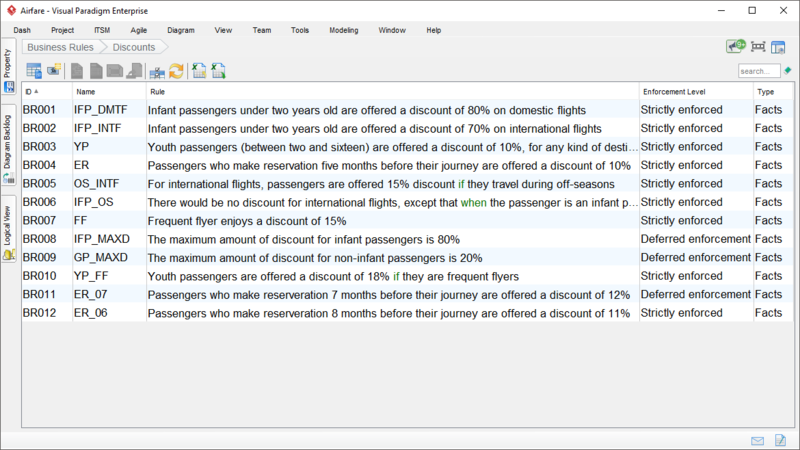 Define and describe business rules with business rules tools like decision table and Fact Model. A business rule is a statement that describes a business policy or procedure. 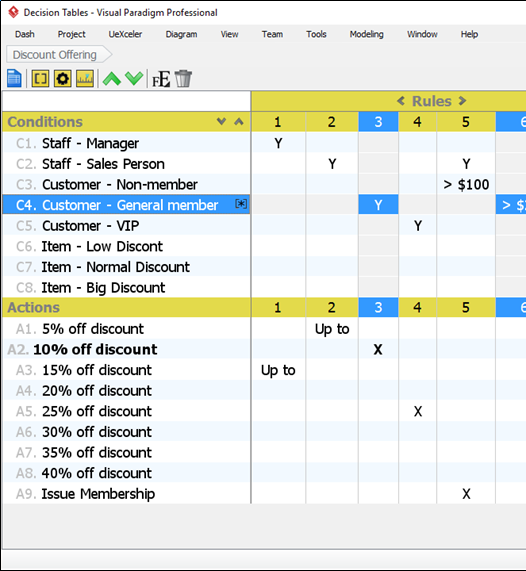 Business rule grid is an ideal business rule management tool for accommodating a large amount of business rules in a manageable manner. Decision table provides a neat representation of business rules and regulations. Its tabular layout makes complicated rules crystal clear to everyone, making it an ideal reference for business and system logic. The decision table tool provides a highly configurable decision table editor that helps you formulate business rules easily and quickly. Fact Model (or sometimes known as Fact Diagram) is commonly used in structuring business knowledge. 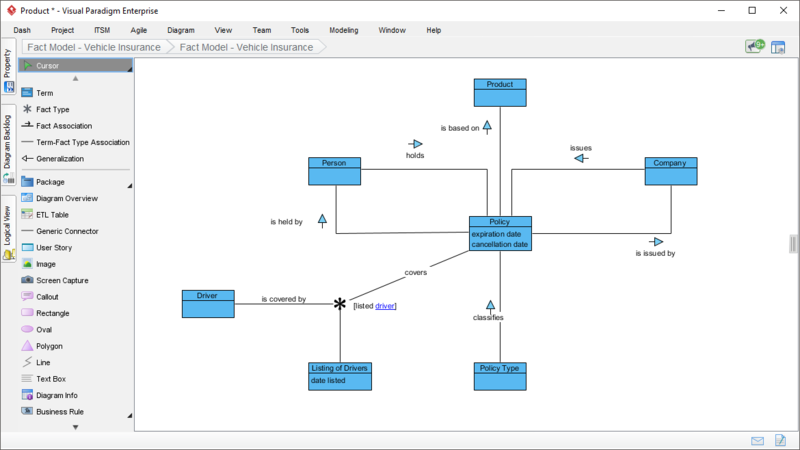 Our Fact Model software provides an intuitive editor for you to create Fact Models in visualizing the core concepts of a business (known as "term") and their logical connections (known as "facts") through a Fact Model.